Learn how to make your own, 100% natural deodorants! Do you suffer from excessive body odor? Maybe you sweat too much and want to reduce that. Either way, this is the book for you. It’s time to get rid of the harmful chemical filled deodorants you normally use and switch to a healthier and more effective alternative: homemade deodorants. BONUS â€“ Deodorize your life: the air, clothes and furniture, pets. 15 Recipes for free! 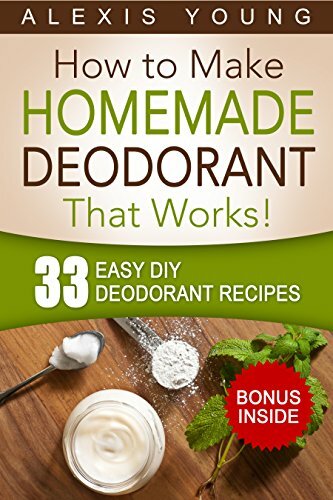 Download your copy 33 Easy DIY Deodorant Recipes Right Now! and learn the secrets that will keep you Staying Dry, Feeling Cool and Smelling Fresh.